La FN en Brighton? Mais Non! When we heard a few days ago that Tony Thommes, the Front National candidate for French Expats in Northern Europe, was planning a meeting at the King and Queen pub in Brighton today, we knew he’d regret it. 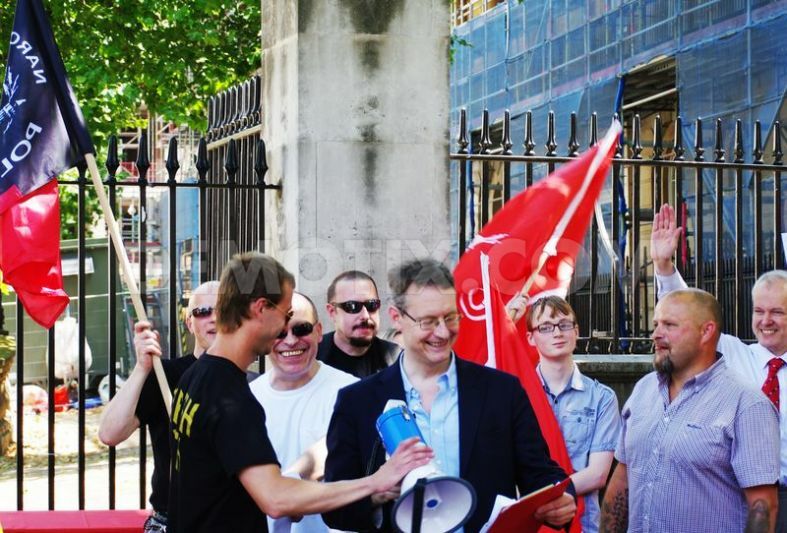 Pegida UK: Nazis, Islamophobes and Anti-Semites. Anyone who’s been keeping an eye on the growth of the far-right in Europe over the last year can’t help but have noticed “Pegida” (Patriotic Europeans Against the Islamification of Europe), a German group who have been marching every week for several months, drawing many thousand supporters in their home city of Dresden. 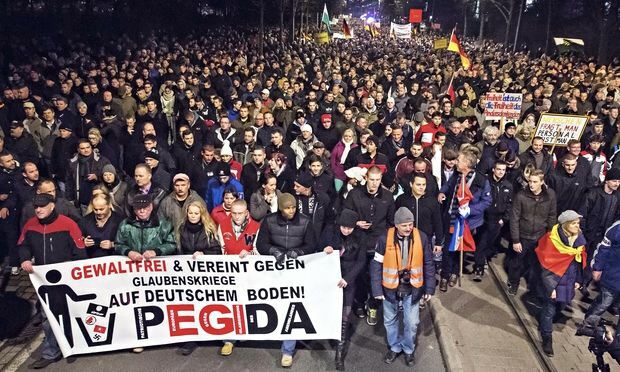 “Pegida” marching in Dresden last month. 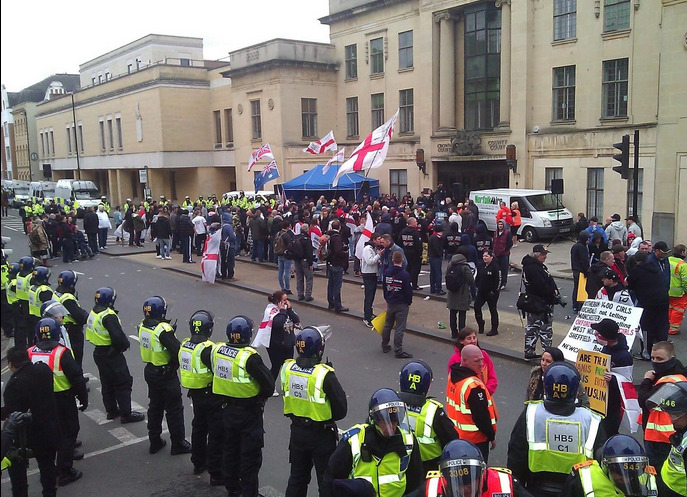 Attempts to take the Pegida format beyond Dresden have been somewhat underwhelming. 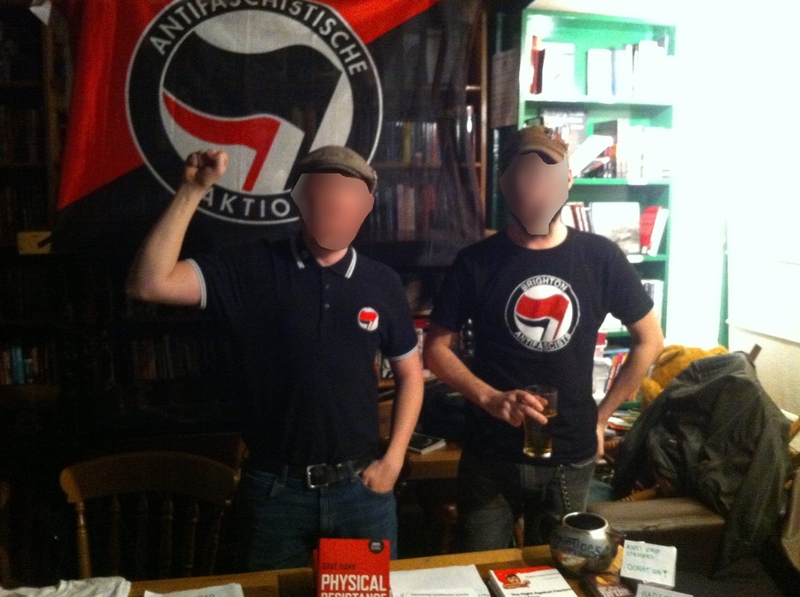 Low numbers and large antifascist counter-protests have dogged their demonstrations in cities like Cologne, Hannover and Berlin. 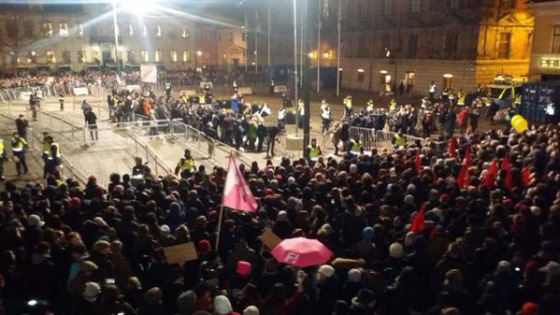 With the creation of Pegida groups outside of Germany, this pattern of failure has only continued, with their attempt at marching in Malmö, Sweden, hilariously outnumbered. 30 Pigeda clowns outnumbered by around 3000 antifascists in Malmö, Sweden.